Our Large Smashing Action Tennis Medal is a jumbo sized medallion at a great value! 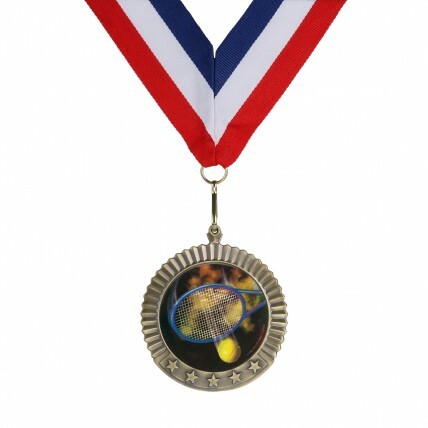 It measures 2-3/4" in diameter with a 2", holographic insert of a tennis scene. 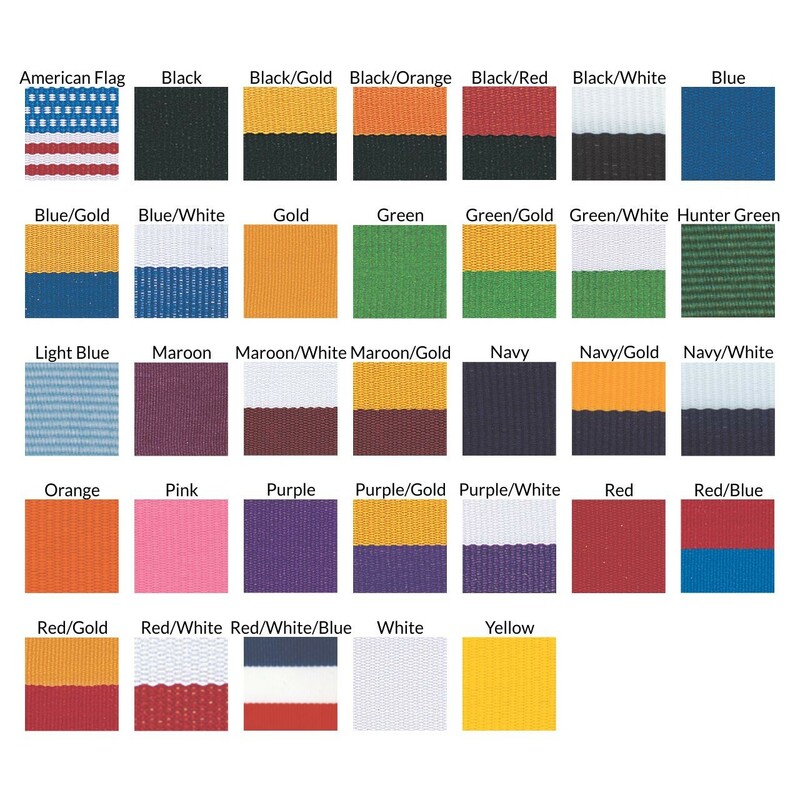 Your choice of gold, silver, or bronze metal along with neck drape color. Price includes up to three lines of engraving.